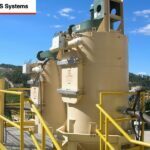 Dust control is an extremely important aspect of the material handling industry, in particular the application of pneumatic conveying. 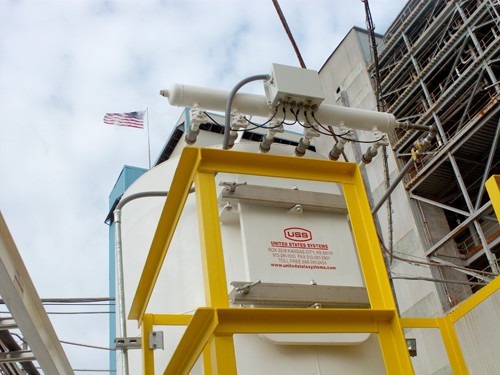 A dilute-phase pneumatic conveyor uses air suspension to move material in a conveying air stream from location to another. 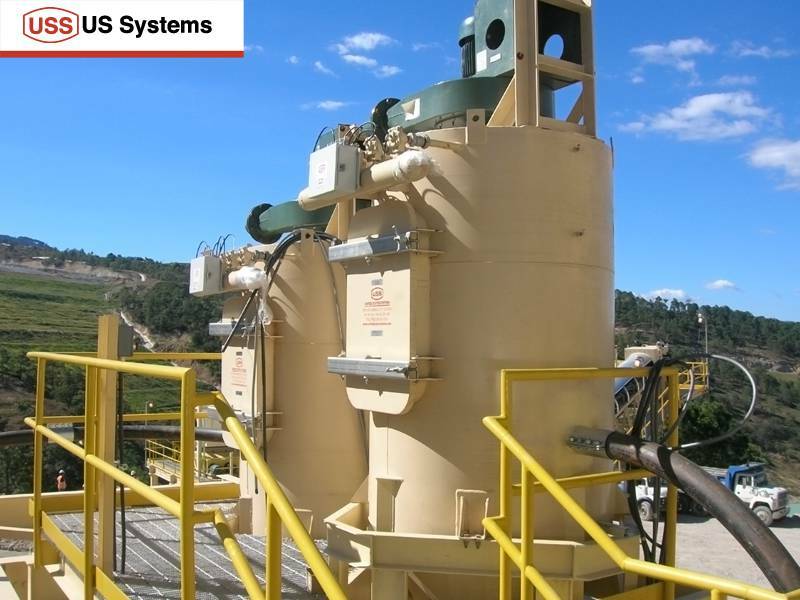 If a property of the material is such that it is not dusty, a positive-pressure conveying stream can be discharged directly into the receiving vessel and the air can be vented to atmosphere. In negative-pressure systems, material can be discharged into a combination filter-receiver. If, however, material is dusty, then filtration maybe necessary. 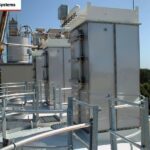 It’s an important consideration in the design of a pneumatic conveying system. 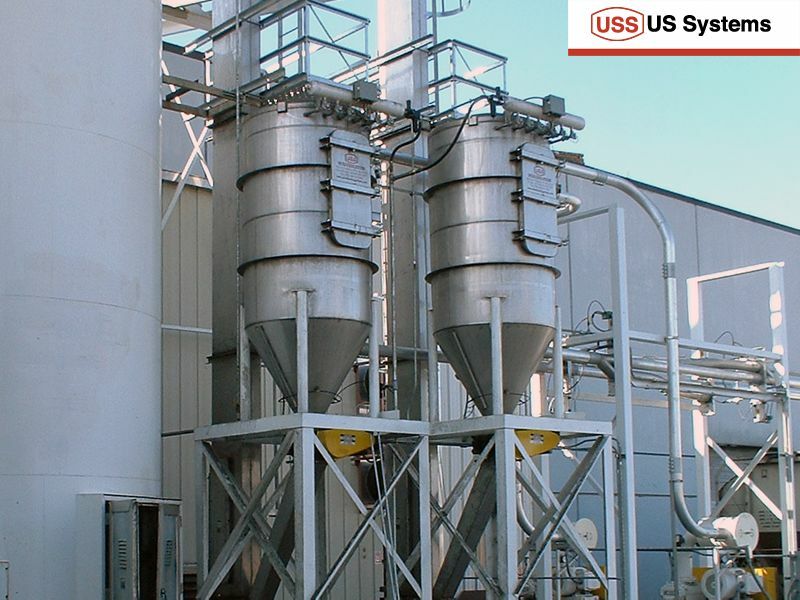 There are critical performance issues at stake in the performance of negative pressure and low pressure pneumatic conveying. Let’s visit each of the solutions one by one. 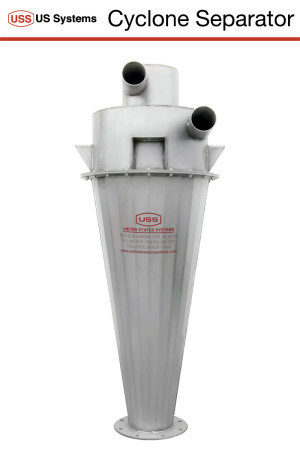 Pictured above is a vacuum filter receiver used in a US Systems engineered and manufactured pneumatic conveying system consisting of a blower package, filter receiver, silo, slurry mixer, bin vent, piping, and accessories. 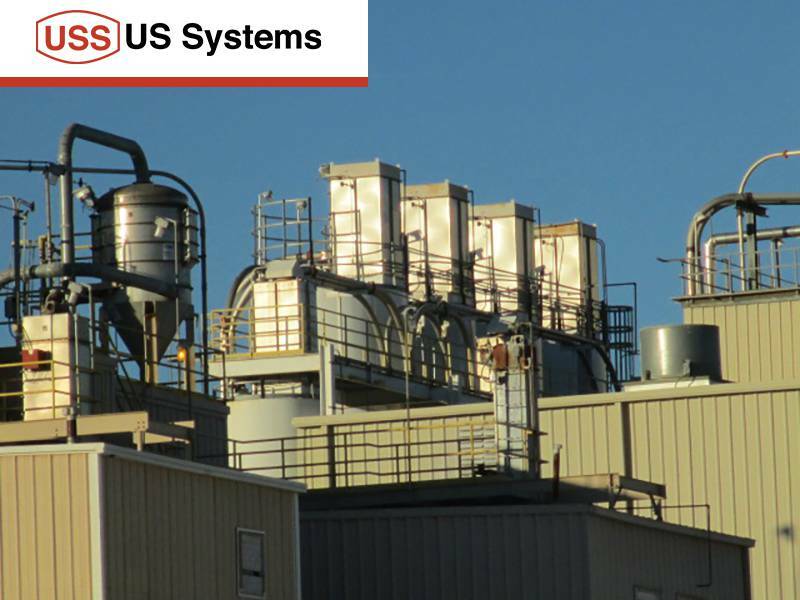 This particular system is used to convey sodium sulfate from a railcar to a silo at a packaging plant in Louisiana. 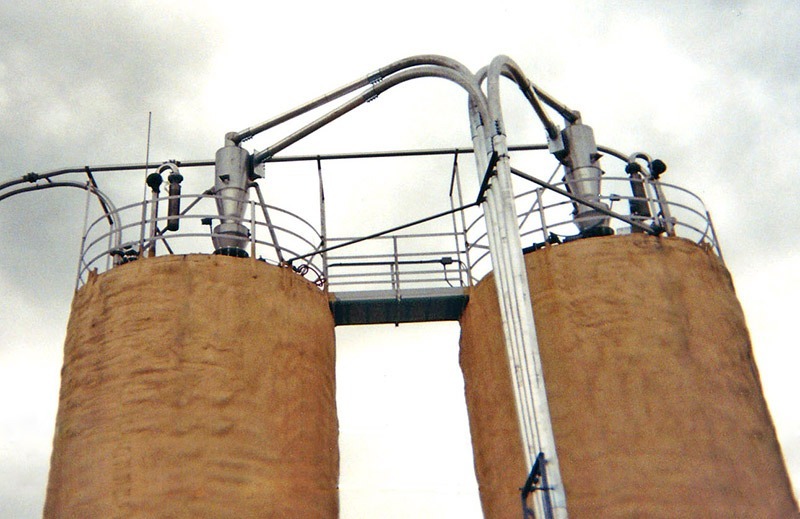 When material discharges into a silo, the air must be allowed to escape. For dusty material that air must be filtered before venting to atmosphere. That’s where the Bin Vent with Pulse Jet Filter comes in. 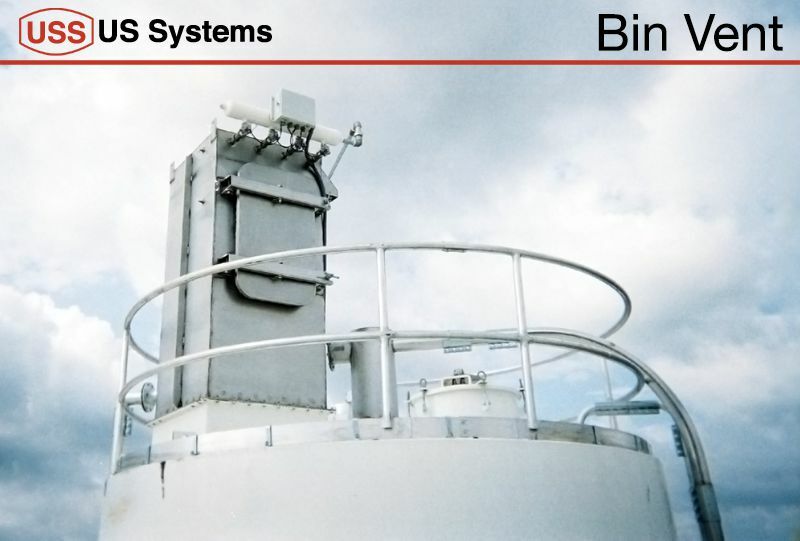 In operation, air enters from the high pressure vessel through the bin vent to the low pressure atmosphere. The material passes through tubular filter media leaving the dust behind. These filter tubes are elongated to allow plenty of surface area for air to pass through in a small amount of space. Either on a timer or by pressure switch, a jet of compressed air is periodically puffed into the center of the filter tubes, shaking and blowing the dust from the surface of the tubes. 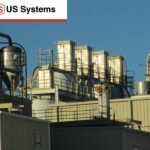 US Systems provides rugged, long-lasting filter media specified for your material. We continue supporting your system by making it easy to reorder filter media when the time comes. 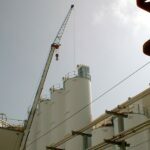 “Bag House is a colloquial term for a very large bin vent, sometimes containing hundreds of filters and are large enough for a person to enter to change the filters. 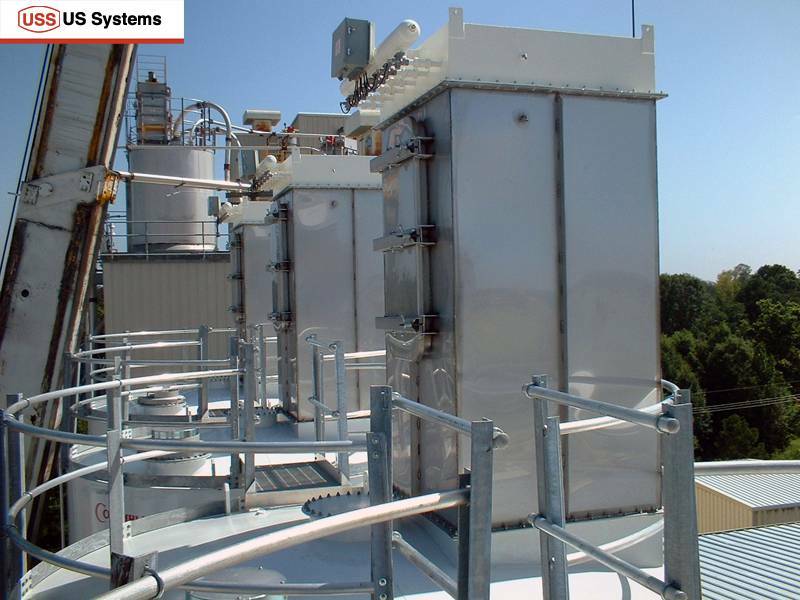 Vacuum filter receivers combine the pulse jet self-cleaning ability of our bin vents with the receiver in one system. They work in either Induced Vac or Direct Vac mode. 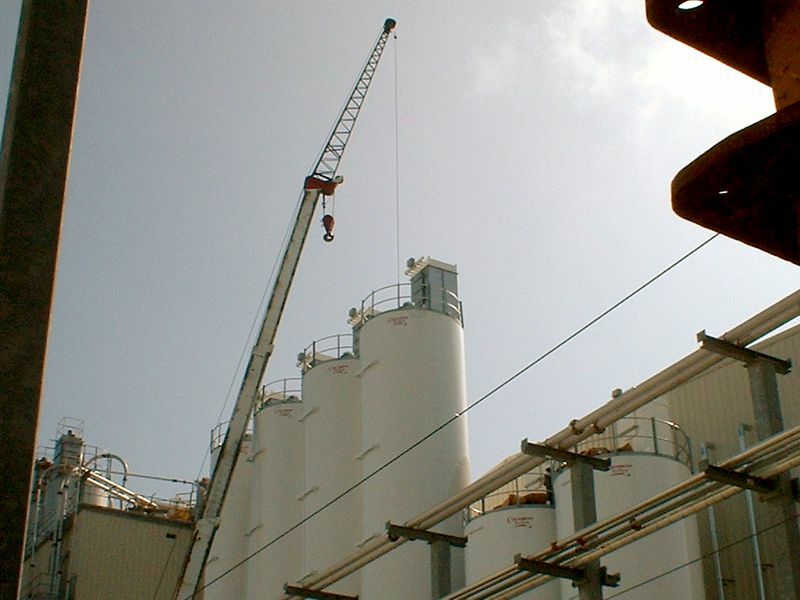 We manufacture standard cyclones and engineer solutions to your most difficult problems. If you’re scratching your head about something give USS a call. A US Systems Cyclone uses vortex separation to remove particles from air. Air and materialdischarges into the cyclone at a high speed from a pneumatic conveying system. The material drags downward in a spiral along the walls by gravity as the air flows upward toward the cyclone outlet.